A career in Hollywood can definitely be a very interesting thing and while there are still millions of people all over the world who would love to be a movie star, there are plenty of ups and downs that these people are not aware of. In Hollywood, one minute you can be the next big thing with everyone wanting to work with you, then the next you can be someone who is just taking roles just to get by and make a decent living. 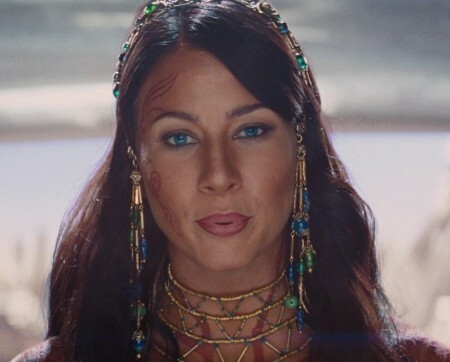 It was not too long ago that the beautiful actress Lynn Collins was one of the most sought after stars in Hollywood, with the actress being one of the favourites to land the role of Wonder Woman in the DCEU, before Gal Gadot was finally cast. These days, Lynn is not exactly the huge Hollywood superstar we were all expecting her to be, although she is still working hard and does still have plenty of new projects coming our way. One such new project is the upcoming new movie Beneath Us, which is a horror and a thriller, with the new film being described as, "Everyday, thousands of immigrants line the parking lots of hardware stores and climb into cars with strangers they've never met, all for the promise of paid work. In Beneath Us, a group of undocumented workers are lured into the home of Liz Rhodes with the promise of their biggest payday, only to discover the terrifying fate she has in store for them." As well as having Lynn Collins starring in the movie, the Beneath Us cast also includes such names as Rigo Sanchez, Josue Aguirre, and James Tupper, to name just a few. Beneath Us has been directed by Max Pachman, who also had a hand in writing the new film along with Mark Mavrothalasitis, with the new movie awaiting an official release date. Will Brie Larson be able to out perform Gal Gadot's Wonder Woman with her Captain Marvel movie?